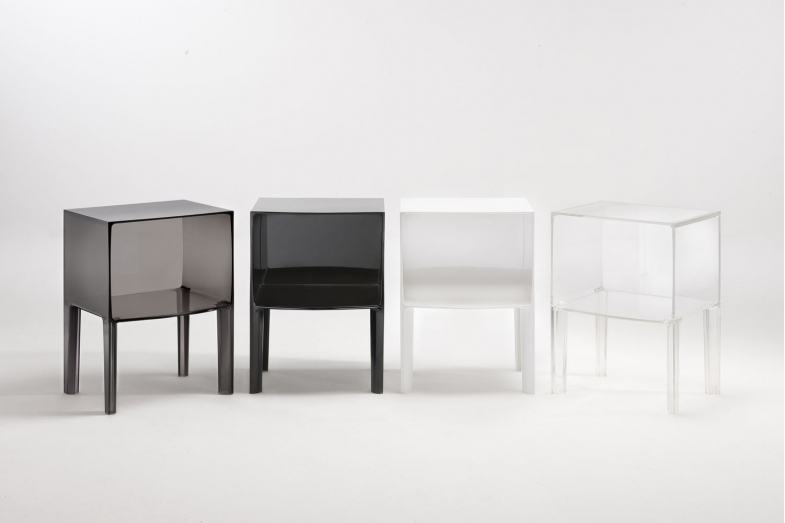 Four slim legs supporting a cube, Small Ghost Buster is the first night table created by Kartell. Starck designed this simple, flexible object which is at home in any corner of the house. Available in a large range of colours, the night table is a play of square corners and gently rounded surfaces.